Most of us have tried the Daulat Ki Chat for its namesake and have often found it overrated. But then one must not miss visiting this small shop in Gali Arya Samaj, Sita Ram Bazaar, Delhi 6. Be assured when you visit Dhani Ram Rakesh Gupta 's shop, your taste buds will be fully pampered. The fluffy Daulat Ki chaat prepared here is something not to be missed. It's aptly sweet with perfect consistency. The place also serves a range of delicious fruit-based ice cream and kulfis. 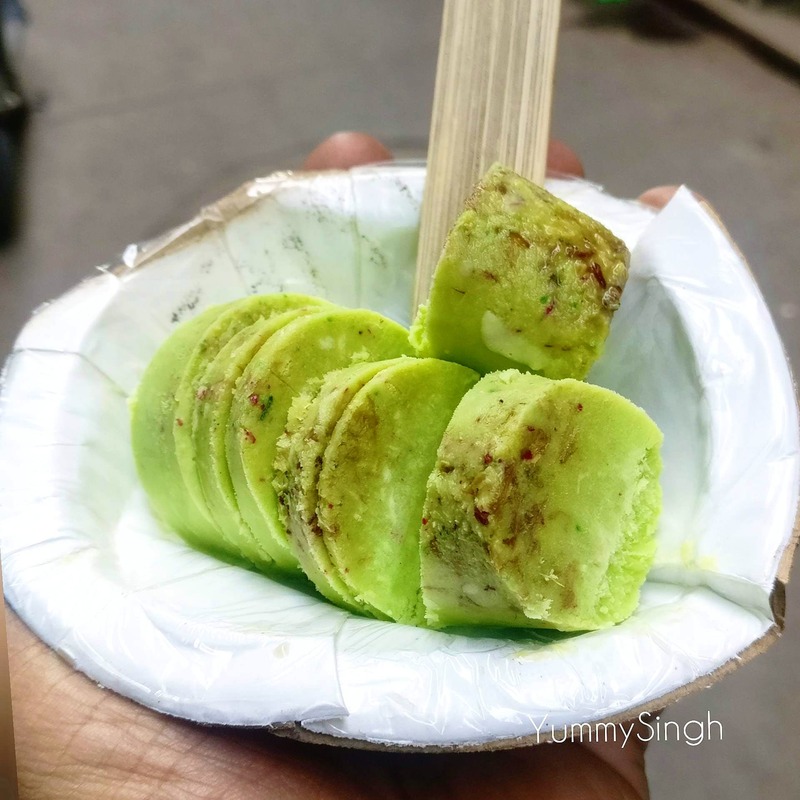 For us, the best one was the Paan flavoured Kulfi. Reaching this place could be a little tough as it is located in a small gali , but it's worth the effort.